You need to plan your trip if you do not want to miss Australia’s must-sees. The Blue Mountains, located in New South Wales, approximately 2 hours west of Sydney, are a world -heritage listed site. It is a beautifully scenic area with tall mountains, lush forests and beautiful rock formations. It includes 8 conservation reserves. There are many unique types of flora and fauna in the area, including the famous, ancient, Wollemi Pine Tree. It is a fantastic place to visit on a day trip, for the weekend, or for bush walking and rock climbing tours. There is also a scenic railway which provides a fantastic viewpoint for taking in the natural beauty of this area. Other tourist destinations in the area include Kanangra Boyd National Park, and the Jenolan Caves, whose main features are its massive stalactites and stalagmite formations. Alpinism, canyoning and biking lovers will find happiness in this vast national park. Sydney inhabitants love coming to the Blue Mountains to escape from summer heat. Thus, Katoomba became the true touristic centre of this site. 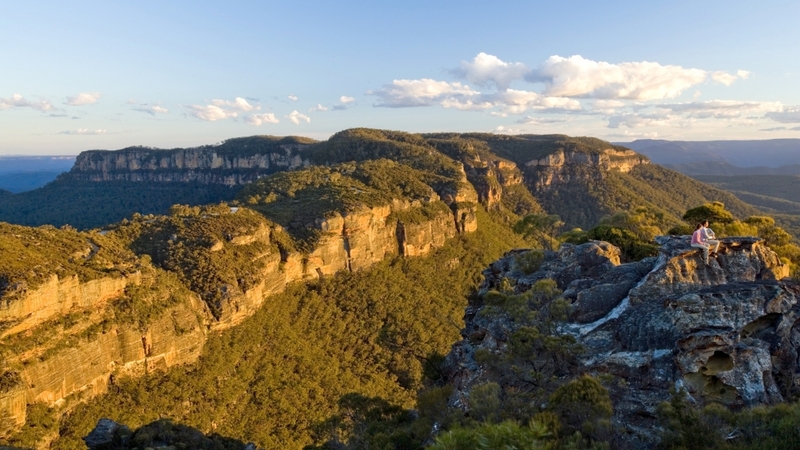 Just 2km from Katoomba, Echo Point offers breathtaking views of Jamison Valley and the Three Sisters. The Big Things are actually a collection of big sculptures. Most of the Big Things were meant to be tourist traps along the Australian roads leading to the most famous destination. Around 150 Big Things are spread all across the country. 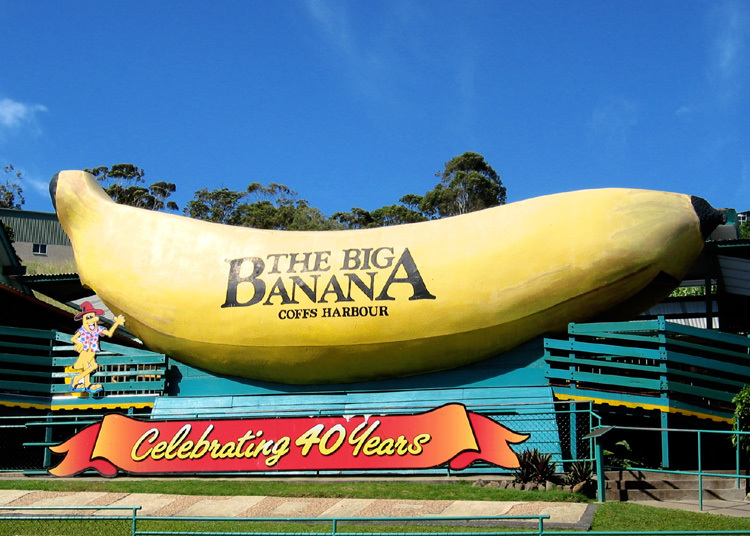 The Big Banana, between Sydney and Brisbane, is therefore just an example. 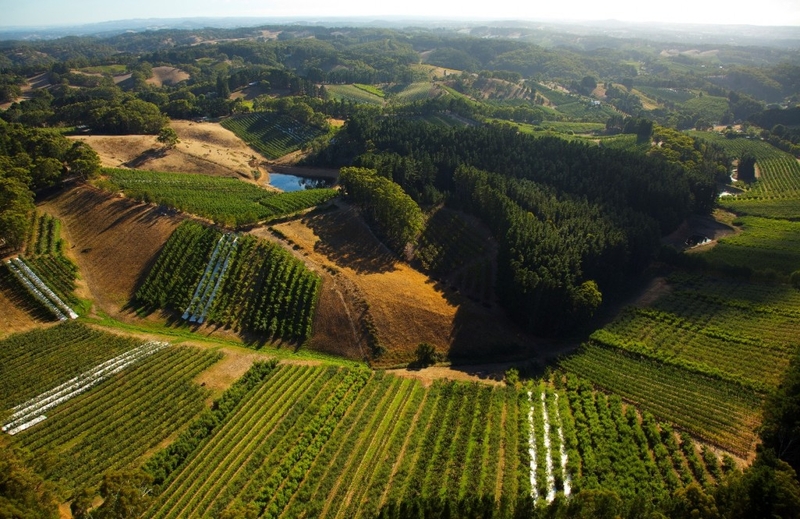 The Hunter Valley region is well known for its wineries. This major touristic destination is located near the Hunter River on the New South Wales coast. It is beautiful and picturesque. The many wineries in the area are run by major corporations or by small family businesses. Some vineyards date back to 1860. To the south of the Valley stand the mountains of Wollemi and Goulburn River National Park, adding to the scenery of this region already so rich in natural beauty. Taronga Western Plains Zoo, formerly and commonly known as Western Plains Zoo, is a large zoo located in New South Wales, near the city of Dubbo. It is run by the Taronga Conservation Society and is home to many unique and special animals, which require more room than can be found at Taronga Zoo, in Sydney. One example of such an animal is the Galapagos Tortoise. If you’re in Sydney and do not have time to visit Dubbo, at least make sure you visit Taronga Zoo Sydney. 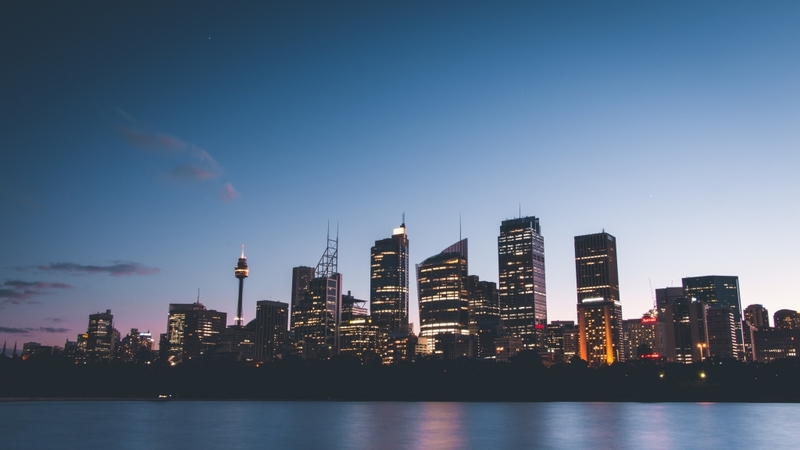 You will admire many interesting animals and fantastic views of Sydney Harbour. Furthermore, if you’re travelling up the coast into Queensland, do not forget to stop at Australia Zoo, the home of the famous Crocodile Hunter, Steve Irwin, now deceased, and his many reptilian friends. Taronga Zoo is definitely one of the unmissable places of Sydney. It is easy to get there from the city and it offers the possibility to see many animals while enjoying one of the most beautiful bays in the world. 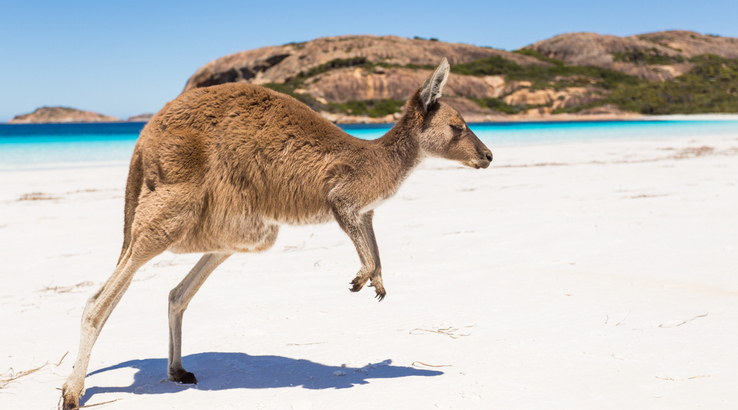 Sorry to dispel the myth, but it is your best chance to approach a kangaroo…. So, what can we see at the Taronga Zoo? 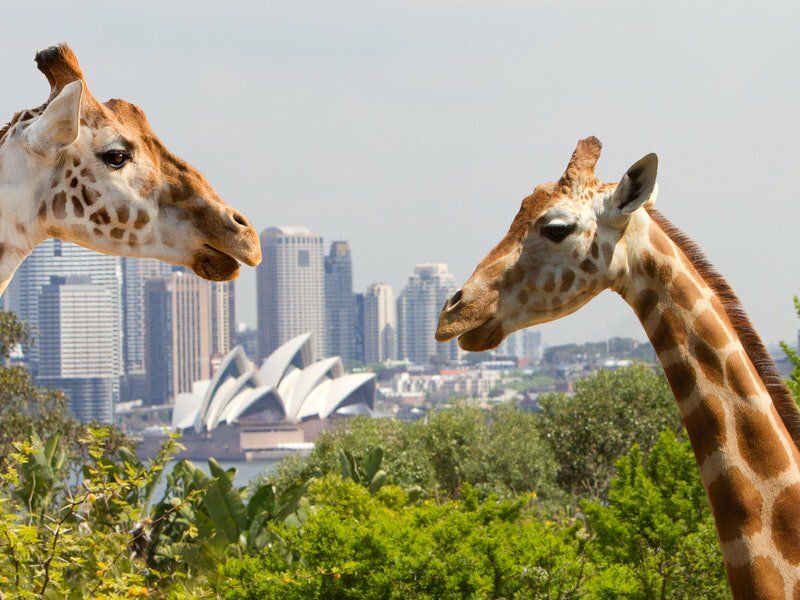 Taronga Zoo is home to more than 3000 animals originating from all over the world. Informative placards at each animal enclosure provide you with all you need to know about these wonderful creatures: for instance, did you know that penguins only live in the Southern Hemisphere, that there are 17 species of them, that you will find in life-size statues? Walks with kangaroos, photo shoots with giraffes and splashy seal shows are just a few examples of what you can enjoy at Taronga zoo! 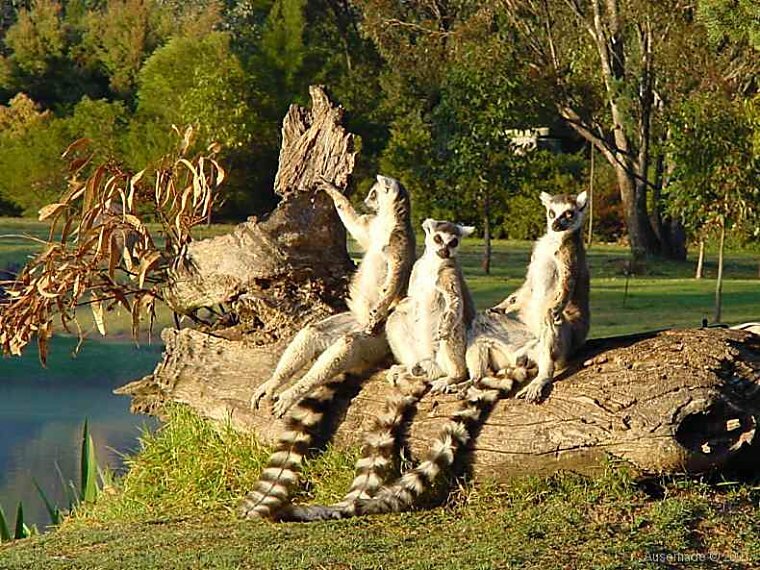 The Zoo is divided into several sections, including: Australian Wildlife, Wild Asia, Great Southern Oceans, African Waterhole, Bush to Backyard, Reptile World. Sleep on the spot: The Roar and Snore programme lets you spend the night in a luxurious safari tent and experience some of the Zoo’s friendliest residents closer than ever before! Take photography class : Occurring 3 times a year, this is an excellent 2 days program with professional photographers. Sponsor an animal: Different levels of sponsorship exist. If you become a ‘zoo parent’, you will gain free access to the zoo! You can get to the zoo by bus (number 247), by car or by ferry. Ferries are leaving from Circular Quay every half hours and you can buy a zoo pass (you will save around 10%). The zoo is on Bradleys Head Road, in Mosman. Bring a pique-nique instead of buying food in the zoo. Indeed, you could enjoy your pique-nique in the food market, but the zoo also has several pique-nique areas. One of them is near the ‘Wild Australia’ part, which offers a splendid view. The visit of the park should take you a little bit more than half a day. 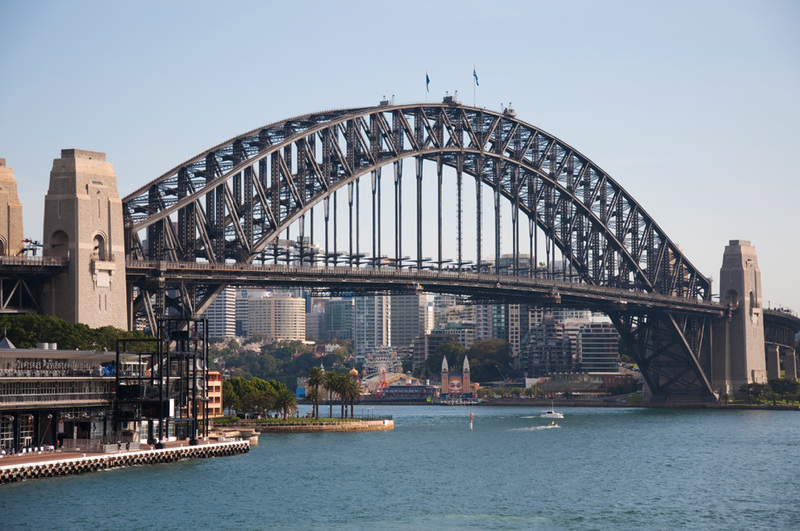 This steel arch bridge near the Opera House of Sydney is the world’s widest bridge. The Harbour Bridge connects northern suburbs of Sydney with the CBD. You can have a walk across the bridge since the pedestrian area has been opened in 1932. 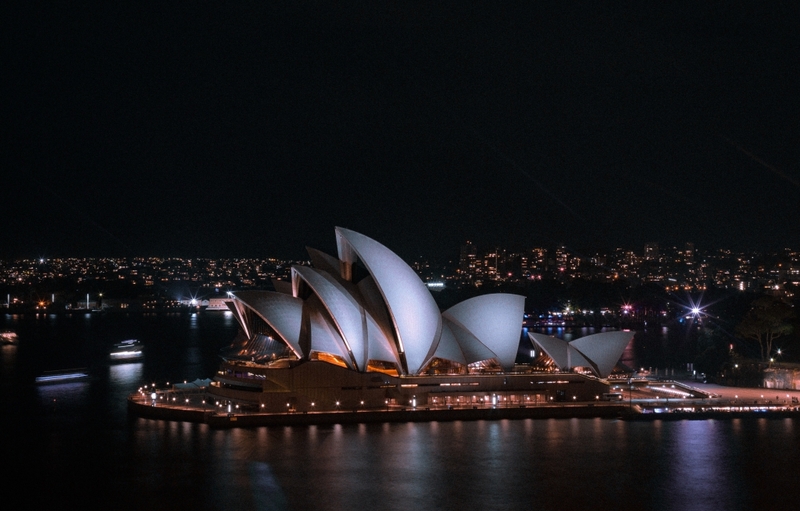 Sydney Opera House, part of the UNESCO World Heritage, is Australia’s most recognisable building and is an icon of Australia’s creative and technical achievement. 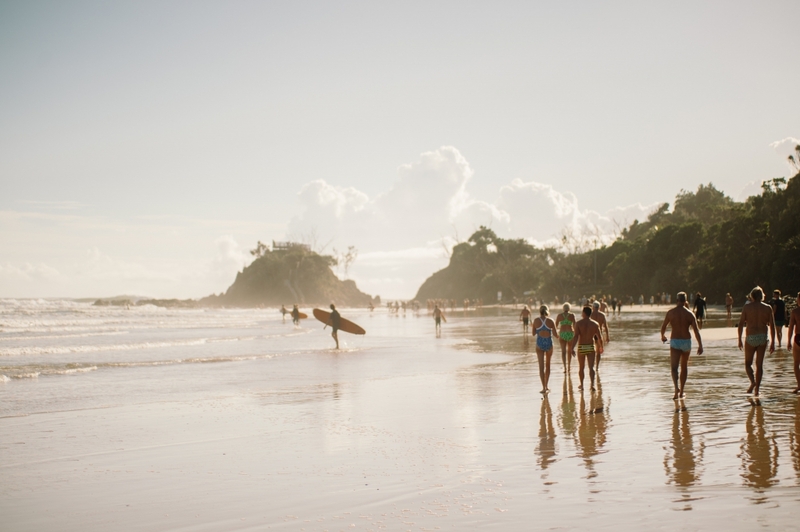 Located 60 km South of the New South Wales border and Queensland, Byron Bay is a seaside town, which is highly regarded by the surfer’s community and for several reasons, which are actually not all directly linked to surf. First of all, the setting. Byron is located on a very open bay with a long fine sandy beach (North-South oriented), which goes stretching over 10 km to the North. The south end, (actually oriented East-West) is made of a cliff topped by a lighthouse, called the Cape Byron Lighthouse. Around the bay, the coast is very wild with many nature reserves like Cape Byron Headland Reserve and Arakwal National Park, which teems with wildlife and traces of Aboriginal history. The hinterland is also very green and agriculture-oriented. Indeed, the presence of mountains guarantees a good precipitations level. The region hosts also the capital of the Macadamia nut, Dunoon, and the cradle of the hippie culture in Australia, Nimbin. This city continues to actively defend the values of the hippie movement as well as the culture of cannabis. In general, the region is considered as the hot spot of the alternative culture in Australia and offers numerous seminars and festivals on thematic subjects related to food, well-being, spirituality and yoga. As regards culture, Byron Bay is the place for music and hosts many festivals throughout the year. Buses run a continuous shuttle service between Byron and Nimbin. Journey time is approximately one hour and a half. With or without the use of Nimbin’s local products, it seems apparently possible to see koalas in the surrounding forests, which is a clear indication of the true wealth of this preserved place. On top of that, the climate of the region is considered as one of the bests in Australia with smooth winters and not too scorching summers. The seabeds also participate to the wealth of the environment. The bay hosts a colony of very sociable dolphins, which is actually the main commercial argument of kayaking trips’ organizers. Indeed, it is not rare that dolphins join you for a surf session, as it happened to me in Watego. Finally, one should know that, since Byron Bay is located 600 km South of the Tropic of Capricorn, it owns extraordinary seabeds. Indeed, we find there some tropical species that are normally found in the North, as well as species from cold waters from the South, like, for instance, humpback whales, migrating from June to November. Moreover, there many species of sharks but the level of danger remains moderate. Last strong argument, the water temperature varies between 18 and 26 Celsius degrees all year long. As for the surfing part now: the bay offers many spots, the most famous ones being ‘The Pass’ et ‘The Wreck’. The Pass is a long right (wave rolling from left to right) which is convenient for short and longboards. This wave functions with all size of swell and holds up to 2m50 on 250m. The Wreck is a wave, which requires a more consistent swell to reach its full potential, and offers then a tubular right and a left for experimented surfers. When conditions are smaller, it is a classical beach multi-peaks which would be difficult to distinguish from Main Beach, situated just next, if we could not see the famous ship wreck, from which the Wreck owes its name. Byron Bay is, unfortunately, a victim of its reputation and its spots are often crowded. Surfers know the adverse consequences of this situation in the water. 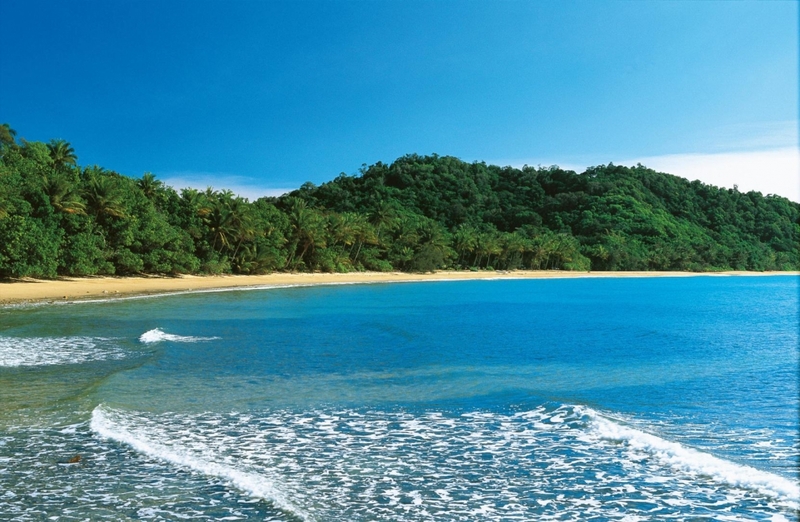 This is why one should remember about Watego Beach as a good alternative. Finally, one should take into account the existence of good waves outside the bay at the foot of the cliff and of the lighthouse Cosy Corner, as well as in the South, in Tallows and Broken Head. It should be beach and reef breaks, less frequented by beginners, so without localism issue. Thanks to its multiplicity of spots and orientation, Byron Bay is a compulsory destination for every surf trips along the East Australian coast. Indeed, you are almost sure to find the wave that fits you! This is the hinterland of Australia. It is as big as two third of Europe’s size and only one million Australian live there. In the desert area, you will be astonished by the red landscapes. Here are some of the most famous landscapes. The Kakadu National Park is a World Heritage listed site of the Northern Territory. The parklands include flood plains and marshy wetlands, a unique ecosystem. Furthermore, the site remains culturally important for Aborigines. This national park is nearly half the size of Switzerland. 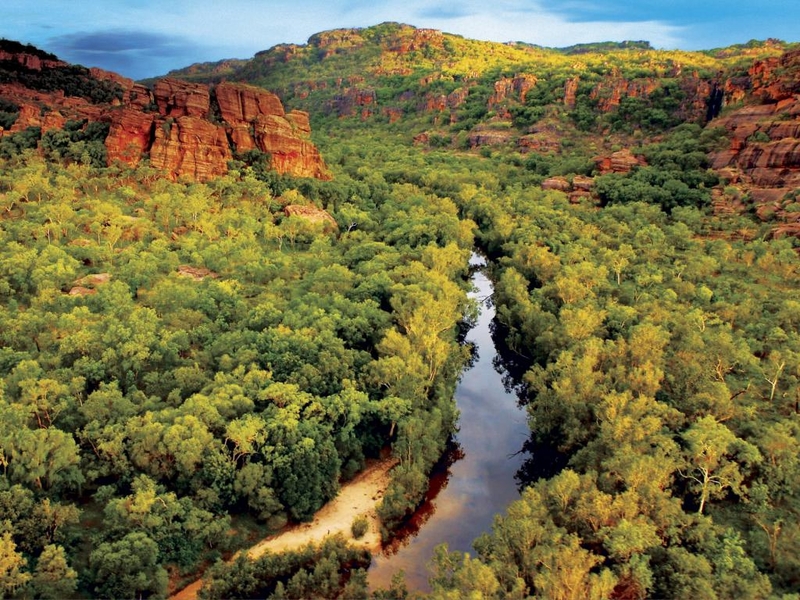 The Kakadu National Park extends on 200 km is a real natural wonder of Australia. Located 240 kilometres east of Darwin in Australia’s tropical north, Kakadu National Park is Australia’s largest terrestrial national park. You will find in the park a wide variety of landscapes and animals as well as some of the most magnificent Aboriginal paintings. You’ll enjoy beautiful lookouts on waterfalls and you’ll also learn a lot about the Aboriginal lifestyle. Kakadu conceals one of the most extraordinary sets of rock art, with more than 5000 aboriginals sites, with some dating from 20 000 years and others from the sixties. Don’t miss the Ubir and Nourlangie Rock sites. The park contains cliffs, streams and rivers crossing the rocky plateau. Here, the difference between dry and humid seasons is so sharp that the same place can be dry but under 3 metres of water a few months later. Kakadu is a massive red rock located in the centre of Australia, approximately 300 km southwest of Alice Springs. Formerly known as Ayer’s Rock, it is the world’s largest monolith is 3,6 metres long and 348 metres high. Actually, two third of this rock is behind the earth surface. The colour of this rock changes according to its exposition to the sun. Its tones are particularly enjoyable at dusk and dawn. There are many walks and activities around Uluru. 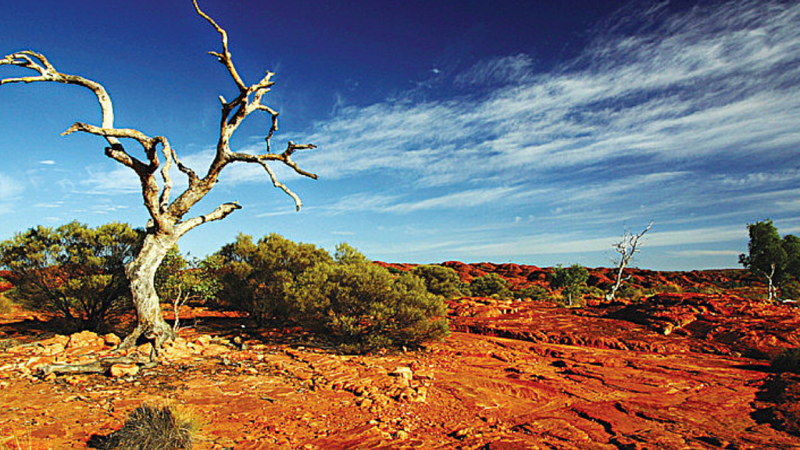 Don’t miss the numerous caves and ravines sheltered by Ayers Rock. You will find several roads around Uluru with guided visits on fauna, flora, geology, and mythology of the place. Don’t forget that some sites are sacred and enter them constitutes a serious offence. The Top End is the name given to the region of Darwin. There are many captivating sites easily accessible. You just need to rent a car to get to Kakadu national park, Litchfield, and to Bathurst and Melville islands. Fraser Island is yet another part of Australia which has been judged suitable to become part of the World Heritage List. One interesting fact about Fraser Island is that it is the largest sand island in the world. This beautiful island boasts not only pristine beaches, sheer cliffs and numerous freshwater lakes but also ancient rainforest wildlife and lush fauna. Mission Beach is a stretch of beach located on the East Coast of Australia, for approximately 14km. It is a World Heritage site thanks to the tropical rainforest, located along beautiful sandy beaches and tiny picturesque islands. You will easily find an activity that you like at Mission Beach: snorkelling, diving, bushwalking in the forest or even bird watching, and many others. 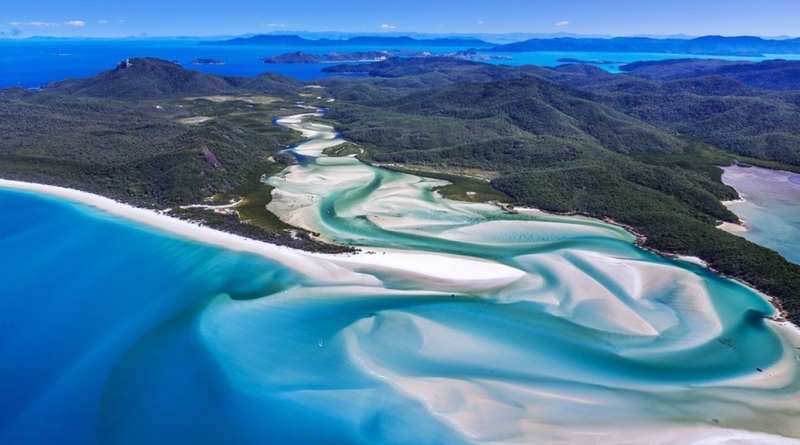 There is no limit to the wonder of the Whitsundays! This is one of Queensland’s paradise landscapes. More than 150 species of birds live and fly over this Archipelago. You can go there by plane or by boat. The Whitsundays are a group of islands located off the coast of Queensland. They are a popular tourist destination for many people, including families and couples, thanks to their beautiful beaches, resorts and views. The Great Barrier Reef is blessed with the breathtaking beauty of the world’s largest coral reef. You will be able to see over 3,000 individual reef systems and coral cays and about 900 tropical islands with some of the world’s most beautiful beaches. It is home to many forms of unique marine life. It is one of the seven wonders of the natural world. It is currently the only living thing that can be seen from space. 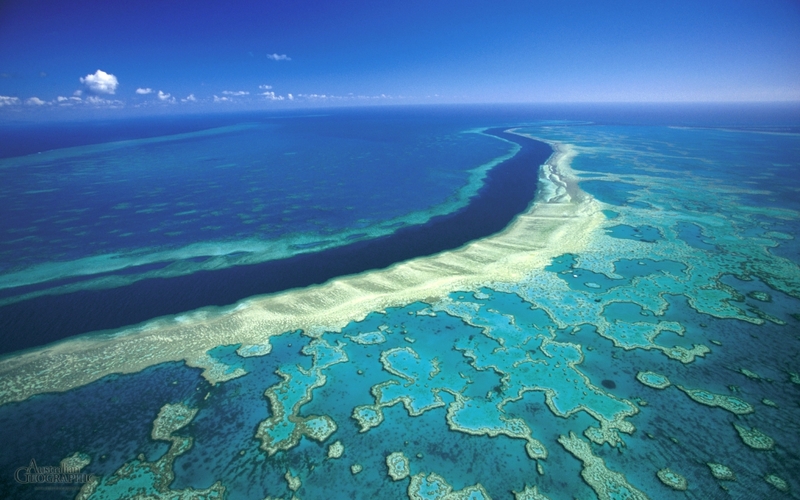 Located on the Queensland coast, the reef stretches for more than 3000 km. This is definitely a must-see in Australia. The Sunshine Coast starts from the extreme North of Bribie Island to the North of Noosa. 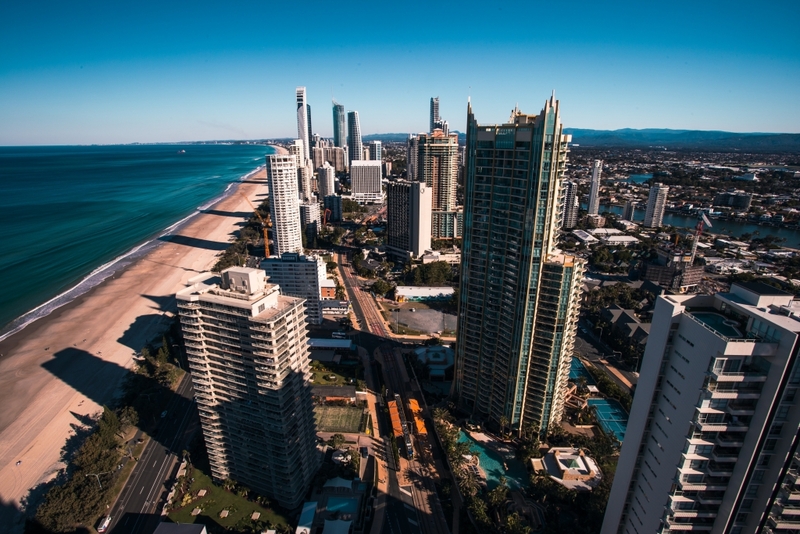 You will not find skyscrapers like in the Gold Coast, and it is actually the reason why the Sunshine Coast is occupied by vacationers. Noosa Heads is the trendiest city on the coast. You will find the Cooloola national park and Rainbow Beach, which is a point of access to Fraser Island. Noosa displays more cachet than the rest of the Sunshine Coast. It is a true place of pilgrimage for surfers. 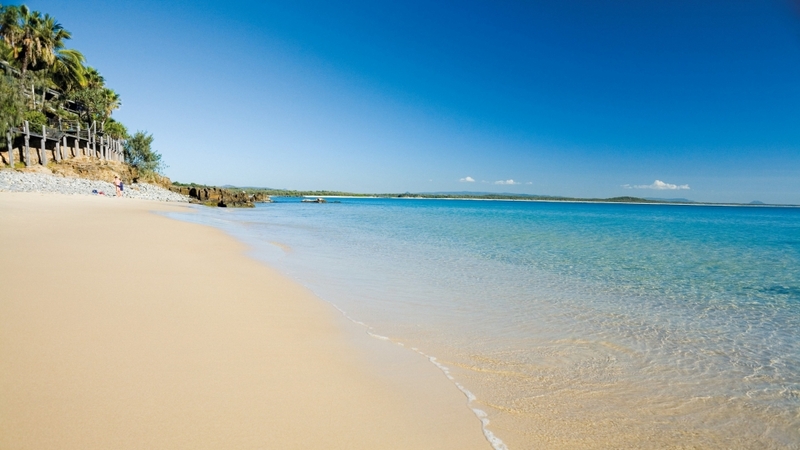 The national park of Noosa offers the possibility of beautiful walks and magnificent views of the coast. Moreover, many koalas are living there. It is possible to make all sort of cruise in a boat from Noosa, notably on the river to the Cooloola national park and whale/dolphin watching excursions on the ocean. Moreton Bay, in the region of Brisbane, extends from Caloundra to Surfers Paradise and hosts around 365 islands. Many excursions are offered on their heavenly beaches. The fauna is rich and varied, especially the marine life since it is on the migration path of whales. Moreton Bay has become a true tourist attraction in Queensland. 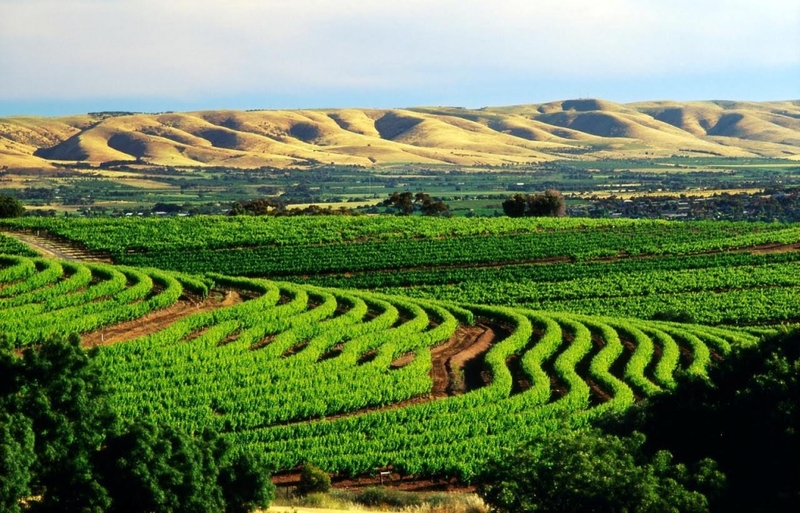 The Barossa Valley is another major wine region of Australia and is located north of Adelaide, in South Australia. It disputes with the Hunter Valley the title of the most famous area of wine production in Australia. It is a beautiful valley located 50 km East North from Adelaide and represents 40 km long and 11 km large. It is well known not only for its wine but also for other specialities and seasonal food products, such as cheese and meats. Like many touristic areas in Australia, many specialities events are held each year, including various festivals. Coober Pedy is one of the most famous cities of the Outback. 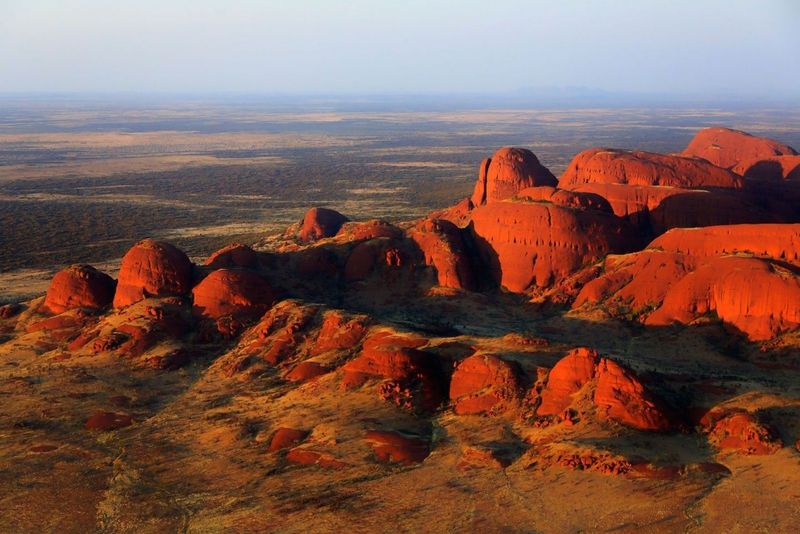 Its name comes from an Aboriginal expression, which means, “burrow of the white men”. This inhospitable region looks post-apocalyptic. This 150 km long and 30 km wide island is sparsely populated and offers splendid landscapes, pleasant beaches and a varied fauna and flora. Many walks across the reserves and historic places are organised. Seals colonies are observable from Seal Bay. 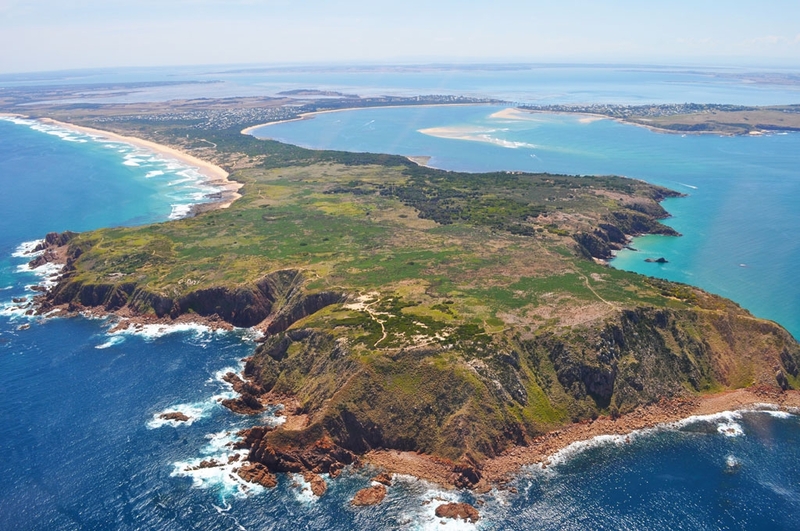 The Flinders Chase national park is the widest from South Australia. There are many eucalyptus forests with koalas, wild pigs, kangaroos, emus. 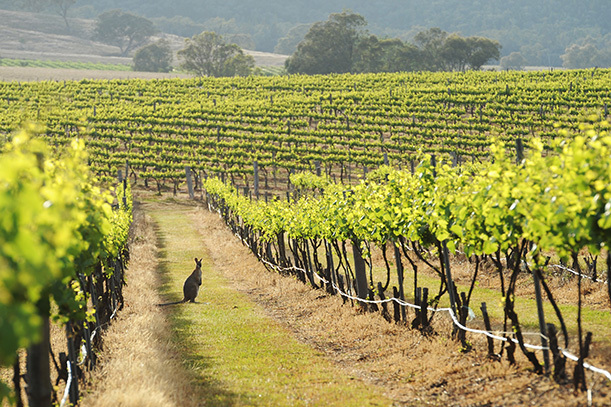 At less than 30 minutes by car from Adelaide, can be found the magnificent Adelaide Hills. They surround the region and its cities of Meadows, Strathalbyn, Barker Mount, Naine, Pleasant Mount and Springton. Phillip Island is located off the Coast of Victoria and is a major tourist destination due to the Penguin Parade. This experience inspires awe as you watch the tiny penguins come up the beach to the safety of their nests, hidden among the sand dunes. It is one of the few places where one can watch these cute creatures in the beauty of their natural habitat. The Great Ocean Road is a 300km long road, along the coast, showcasing magnificent sceneries of the Australian coast line. The drive includes many lookout points like the Otway Ranges, as well as farms, lakes, beaches and beautiful forests. 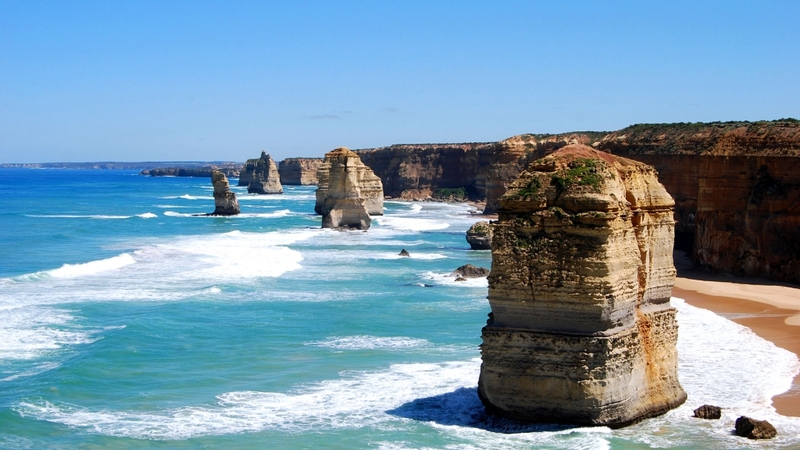 The Great Ocean Road starts 100km west of Melbourne and follows the coast to Warrnambool. Don’t miss the famous Port Campbell National Park with its extraordinary rocks sculpted thanks to the erosion of the water and wind on the cliff, as the Twelve Apostles and the Loch Ard Gorge. The Twelve Apostles are magnificent rock stacks that rise up majestically from the Southern Ocean on Victoria’s dramatic coastline. They are 45 meters high which is as high as a 15 stair building. It is also possible to camp there. 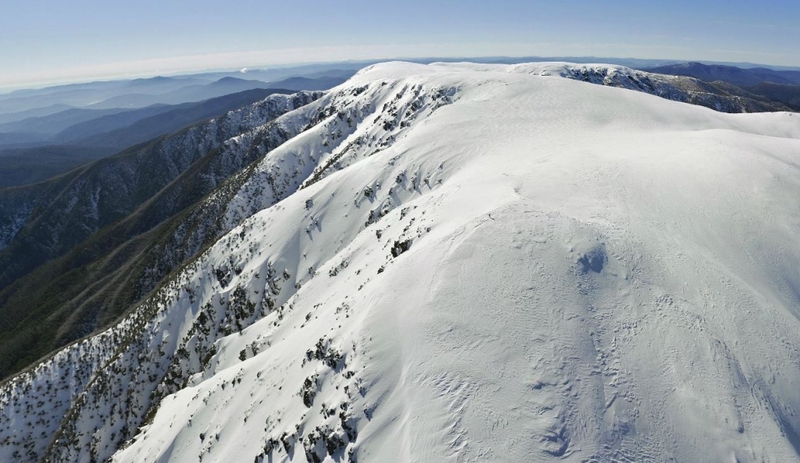 There are also 2 main ski stations, which are Mt Buller and Falls Creek. The official ski season starts from the first-week end of June and the snow starts being skiable a little bit later in the month. Generally, the snow remains until the end of September. 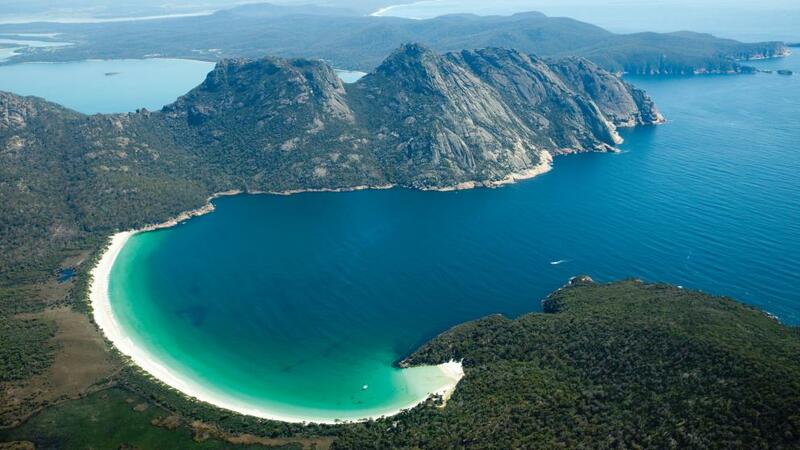 Tasmania (abbreviated as Tas and known colloquially as “Tassie”) is Australia’s only island state. It has the smallest land area of any state and the smallest population, with roughly 500,000 inhabitants. It is separated from the Australian mainland by a body of water called the Bass Strait that has isolated it for thousands of years. 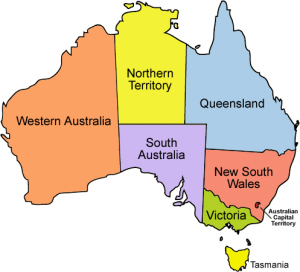 Tasmania is the smallest of Australia’s six states, with an area of 68,401km² (26,410 square miles). 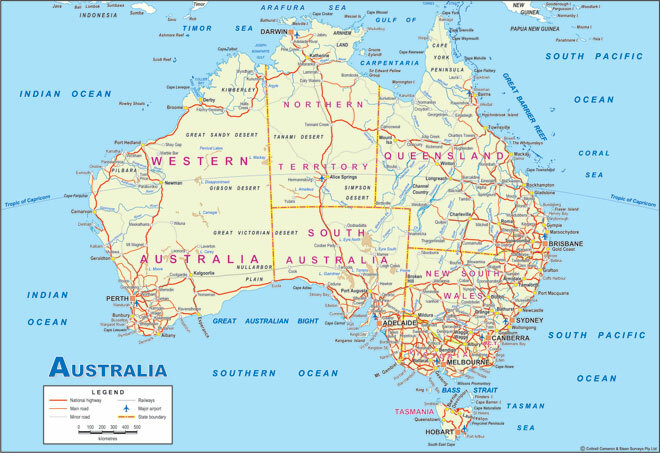 It is comparable in size to Ireland.Tasmania is the most mountainous state of Australia, its tallest mountain is Mount Ossa at 1,617m (5,305 ft). Much of Tasmania is still densely forested, with the Southwest National Park and neighbouring areas holding some of the last temperate rain forests in the Southern Hemisphere. Tasmania is promoted as a natural state; almost 45% of Tasmania lies in reserves, national parks, and World Heritage Sites and the state was the founding place of the first environmental party in the world. The island is believed to have been occupied by Aboriginals for 40,000 years before British colonisation. It is thought Tasmanian Aboriginals were separated from the mainland Aboriginal groups about 10,000 years ago when the sea rose to from the Bass Strait. The Aboriginal population almost wiped out within 30 years by a combination of violent guerrilla conflict with settlers known as the “Black War“, intertribal conflict, and from the late 1820s, the spread of infectious diseases to which they had no immunity. How can we talk about Tasmania without mentioning its little devil? The Tasmanian devil is a carnivorous marsupial found only in Tasmania. The size of a small dog, it is the largest carnivorous marsupial in the world. It is characterised by its stocky and muscular build, black fur, extremely loud and disturbing screech, and ferocity when feeding. Despite its appearance, the devil is capable of surprising speed and endurance and can climb trees and swim across rivers. Component of the Purnululu National Park, this massive rock is impressive. 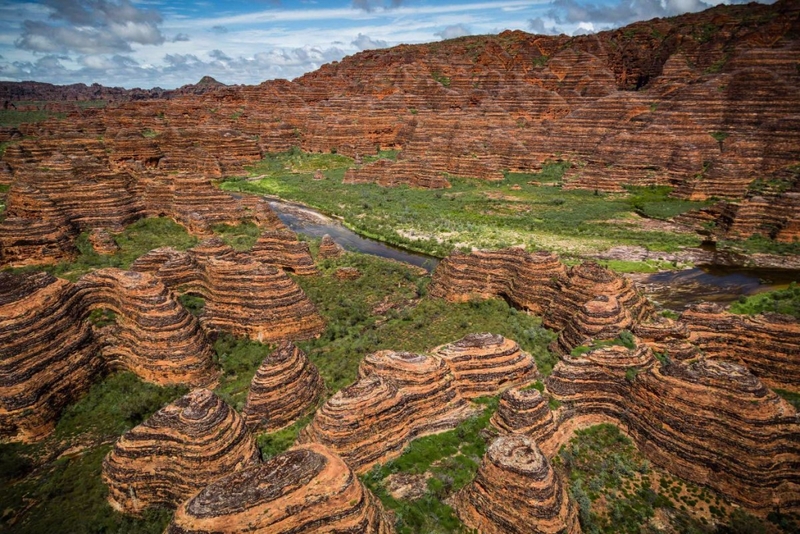 You will enjoy the tiger-striped, beehive-shaped sandstone domes that rise 300m out of the arid landscape. This National Park has been UNESCO World Heritage Site since 2003. 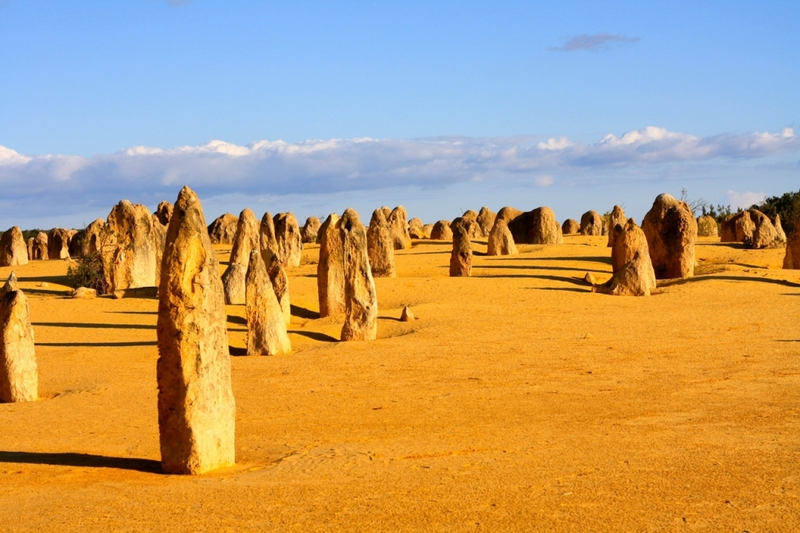 It’s a desert landscape in Nambung National Park, where the weathered rock spires of the Pinnacles rise out of yellow sand dunes. These amazing natural limestone structures were formed approximately 25,000 to 30,000 years ago. Willing to discover this amazing country?